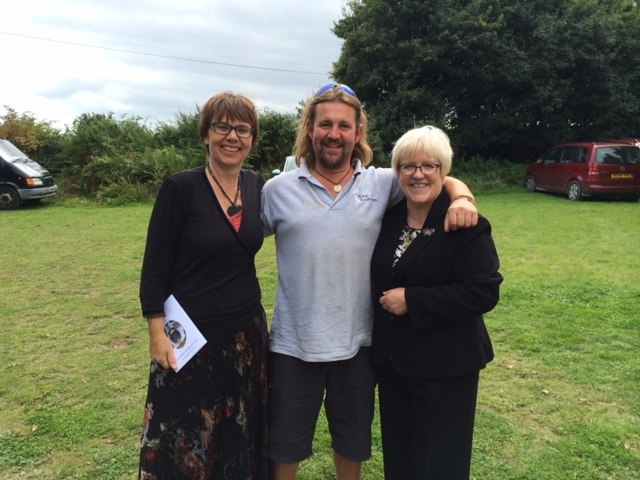 Jonny ‘the grave’ Yaxley, of Henley Woodland Burial Ground and Aylesbury Natural Burial Meadow, has been awarded Gravedigger of the Year 2014. Jonny has been digging graves for fifteen years and is thrilled to receive national recognition for his work. The Good Funeral Awards which took place on Saturday 6 September to celebrate the achievements of practitioners who, through high professionalism and human kindness, enable bereaved people to create great funerals. The awards are conferred by judges appointed by the Good Funeral Guide, a not-for-profit consumer advice and advocacy organisation. Of the woodland burial ground’s gravedigger Charles had to say, “Jonny Yaxley is a special person whose charm and commitment to making sure that everything is beautifully prepared on the day has made him a formidable force for good”. In 2013, Henley Woodland Burial Ground won Cemetery of the Year. This year not only did Jonny win his award, but local funeral director Bruce Jones of Tomalin and Son was nominated for Green Funeral Director of the Year. Something of a green revolution and a great result for Henley.